Jennifer with two of the sponsored children at the Accra school, Solomon and Fati, as well as our on-the-ground support, Darry. 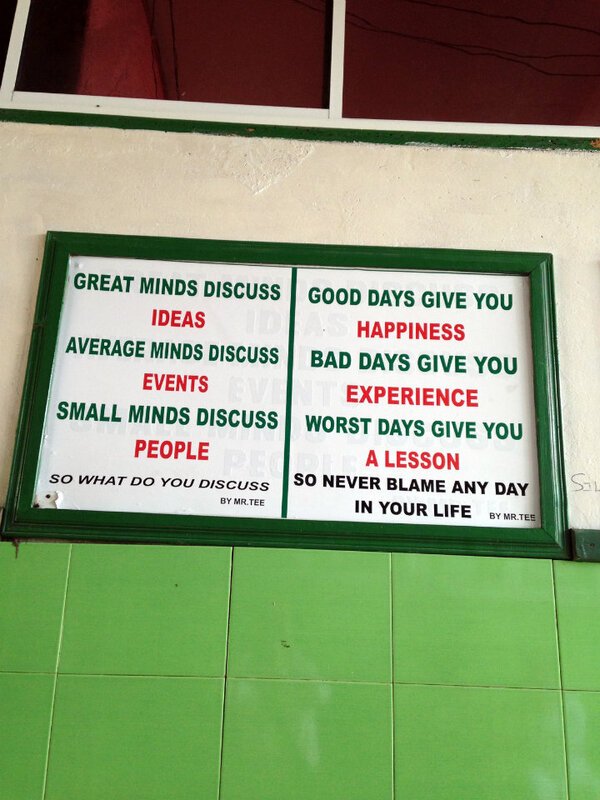 Inspiration for the students on the walls of the school. 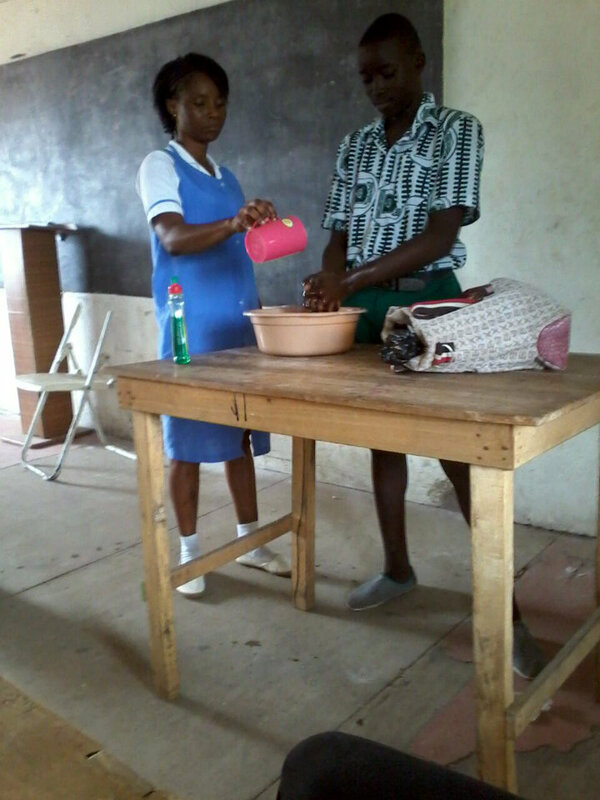 Handwashing lessons as a part of the improved sanitation effort, sponsored by TFI. TFI found three young girls working as metal recyclers with their mothers on a nearby e-waste dumpsite. 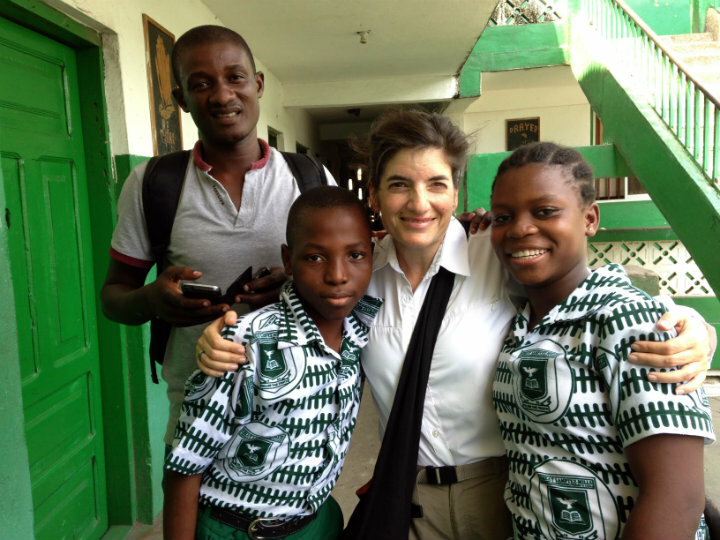 Afterwards, TFI immediately enrolled these girls at the Great Lamptey-Mills School. At Great Lamptey-Mills School they were willing to accept these girls and ensure their success, which made this school a great choice. In our book, Living on a Dollar a Day two of the three girls we sponsor were featured. Our students have performed well over the five trimesters since they have been enrolled. As a gift to the school for their support of our sponsored students, TFI provided funds to fix the school’s only bathroom, and connected a local nurse to the school so that kids could learn more about the importance of sanitation and hygiene. Since the start of our work, we have found two additional students to enroll and sponsor at this school. To donate specifically to the Great Lamptey-Mills School, write “Lamptey School” in the comments section.